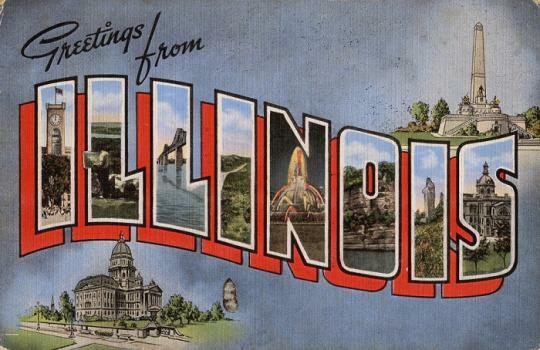 Illinois is home to the third largest city in the U.S.—Chicago. Like most cities a population of more than one million, Chicago is progressive and the arts and culture scene is rich. Major art museums such as The Art Institute of Chicago, the Museum of Contemporary Art, Mary and Leigh Block Museum of Art and Smart Museum of Art call the Chicago area home as well as hundreds of art galleries and world-renowned performance venues such as the Civic Opera House and the Symphony Center. The city is also home to a large collection of theaters (big and small) and a very active film scene. Chicago is a popular backdrop for films of all genres and budgets. Just a few movies that were filmed in the city include Transformers 3 and 4, Batman v Superman: Dawn of Justice, The Dark Knight, Bad Teacher, Colombiana, Contagion, Couples Retreat, Public Enemies, Sinister 2, Insugent, Divergent, Derailed, Oceans Twelve, Road to Perdition, I, Robot, The Fugitive, Superman: Man of Steel, and The Untouchables. The city is home to the 60-acre film studio Cinespace and a number of current and former television shows are/were shot entirely or partly here. ER, The Good Wife, Chicago Fire, Chicago PD, Empire, Mike and Molly, Shameless, Boss, Sirens, The Steve Harvey Show, Kitchen Crashers, Underemployed, and Mob Wives are just a few. All of these benefits make Chicago, Illinois an excellent place for aspiring visual effects artists to live and work. The schools in the next section make Illinois an even better place to learn. Illinois is home to 181 Title IV degree-granting institutions. A large number of these schools offer programs for artists and designers, and several standouts offer programs for aspiring visual effects artists. Just a few common majors include motion technology, animation, animation and visual effects, and interactive media with a concentration in visual effects. Scroll through the list below to review the state’s best options for aspiring visual effects artists and what they have to offer. Salaries for visual effects artists vary greatly by industry, geographic location, and more. For example, according to Indeed, the average salary for Chicago-based visual effects artists is $187,000 per year, while Philadelphia-based VFX artists average $150,000 per year. Head to Phoenix, Arizona and the average salary is $131,000 per year, according to indeed. In addition, the VFX industry is filled with freelance and other independent artists. As of March 25, 2015, independent artists averaged $70,620 per year. The Bureau of Labor Statistics does not report salary and employment information for visual effects artists. As mentioned, Chicago is the largest city in Illinois. Besides Aurora, which has a population of just over 200,000, other “major” cities in the state have less than 150,000 residents. So, to find the best opportunities in the visual effects arena, it’s best to begin your search in Chicago.